Iran and the Cold War research papers explore the Soviet Union's relations with the Muslim world in Iran. The Cold War had a distinct impact on the social and political development of Iran however not to the degree that it effected its economic position within the global market. This condition created an increasingly confident Iran, which is demonstrated by the fact that Afrasiabi maintains it was not the pawn of the super-powers to the same degree as were Iraq and Afghanistan. In fact, during a major portion of the Cold War, Iran had significant control of its own political and economic environments because of its role as an OPEC member. Tehran and Moscow maintained frequent communications primarily because the Soviet Union depended greatly on Iran as its source of gas. In essence, Iran was less affected by the Cold War in the context of economic policies and although the country was sensitive to politics on a geographic level, the Cold War did not have any major influence on the external priorities that Iran had cultivated. For example, neither the Soviet Union nor the United States made any move to discourage the British withdrawal from the Persian Gulf, a move that placed Iran at the top of the oil cartel. Iran had to determine what it would chose as the “dominant form of conflict and antagonism” once the contentions between communism and capitalism had resulted in a conclusion that was obviously in favor of capitalism. This reevaluation would ultimately lead to one of the greatest Islamic revolutions against capitalism and its flagship nations, including the United States. 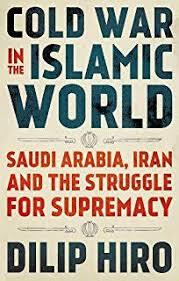 The Muslim world with its rigid ideology, looked at other capitalist nations with disdain, however it would focus on the most prolific and the strongest of them all – the United States. Globalization of Markets - Globalization of Markets research papers discuss two global markets and what will change in the future of globalization. Afghanistan History - Afghanistan's History Research Papers delve into the different people that made up Afghanistan over the years. Islam Religion - Islam Religion research papers look into one of the world's major monotheistic religion founded by the Prophet Mohammad. History of Islam - History of Islam research papers examine the religion that began with a single man, the Prophet Mohammad. Islam - Islam in the Modern World research paper will discuss the animosity between the East and West with respect to Islam in the modern world. Cold War Timeline - Cold War Time line research papers explain the events from the beginning and conclusion of the Cold War. End of Cold War - End of Cold War research papers discuss the way the war ended with the collapse of the Soviet Union. Saddam Hussein's Leadership - Saddam Hussein's leadership has been questioned in many research papers. Rise and Fall of Oil Prices - Rise and Fall of Oil Prices Research Papers look at macroeconomic variables that affect the price of oil, and discusses the debates of economists. Bay of Pigs Operation - Bay of Pigs Operation Research Papers explain the reason why this operation was a blunder. Central Intelligence Agency research papers discuss one of the leading intelligence-gathering organizations in the United States government. Iran and Nuclear Weapons - Iran and Nuclear Weapons Research Papers discuss an example of an order placed on writing a thesis statement, and a three page statement of the proposed theory. Pipeline Politics and Iran - Pipeline Politics and Iran Research Papers discuss how to order a political science research paper with giving detailed instructions on format and content. Iranian Women - Iranian Women term papers look at the role of women in Islamic fundamentalist societies. Ayatollah Khomeini - Research papers on Ayatollah Khomeini examine how he came to power and his conflict with the Shah of Iran. Women of Deh Koh - Women of Deh Koh research papers discuss the Erika Friedl book and report on the conditions and history of the women of this Iranian Village. Kurdish People - Kurdish People form an ethnic minority in several major Middle Eastern states, including Turkey, Iran, Iraq and Syria. Game Theory and the Cold War - Game Theory and the Cold War research papers scrutinize the use of game theory against the soviet union. Causes of the Cold War - Causes of the Cold War research papers discuss the numerous factors that caused the Cold War. History of Cold War - History of Cold War was a prolonged period of strive and tension between the United States and the Soviet Union, as well as allies of those countries, that began shortly after the end of World War II. Post War International Politics - Post War International Politics Research Papers discuss the practices of politics and focuses on liberalism and realism. North Atlantic Treaty Organization - North Atlantic Treaty Organization research papers examine the military alliance, created at the height of the Cold War, between the United States, Canada, and western European nations. Yalta Conference - Known as the Yalta Conference, many of the seeds of the Cold War were inadvertently planted at this meeting. Paper Masters writes custom research papers on Iran and the Cold War and explores the Soviet Union's relations with the Muslim world in Iran.